I’m a real geek when it comes to colors. I take notice of how they look, how they ‘sound’ and how much they look like others in the ROYGBIV spectrum. So when other bloggers start proving my tendency of detecting ‘color hacks’ right, I feel vindicated. Such is the case with the MAC for Gareth Pugh collection. You can read the rant I did a few weeks ago about the collection and see my swatches but this post concentrates on the nail polishes. There are two of them in this collection: Ascension and Hyper. Both are beautifully packaged and both hideously overpriced at $23 for .30 oz. And you don’t have to be a math nerd like me to know that’s -0.2 oz than in a bottle of Chanel or China Glaze and -0.1 oz than a bottle of butterLONDON. Looking at Temptalia‘s swatches, Ascension seems to be a bit ligher and have more of a greenish cast to it than Deborah Lippman’s ‘Wicked Game’. Hyper looks to be pretty danged close to China Glaze’s ‘Blue Years Eve’ from their Holiday 2011 collection (an absolutely stunning color). Both bottles have stunning packaging and a unique shape so if you’re a collector for these reasons, or are just totally infatuated with Gareth Pugh (for me it’s Michael Kors and Tom Ford but I digress), I wouldn’t fault you for indulging. 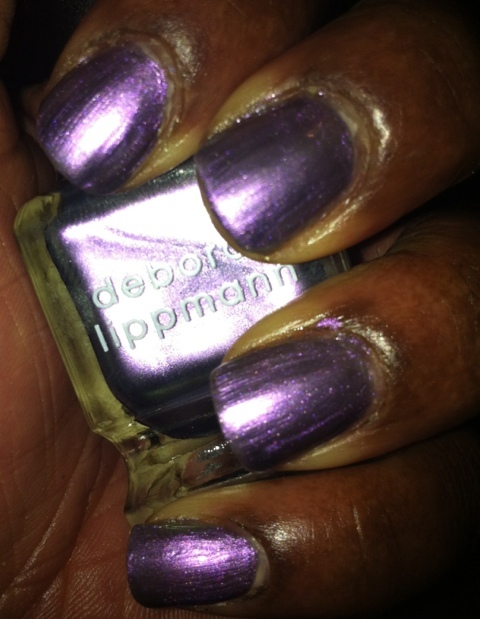 Deborah Lippmann is $16/ bottle, China Glaze averages $7 a bottle. MAC for Gareth Pugh is $23/bottle. It’s up to you to decide if it’s worth it. For me personally, having DL’s Wicked Game and CG’s ‘Blue Year’s Eve’ in my stash provides better color and better value. 'Wicked Game' by Deborah Lippmann, 2 coats. A more intense 'color hack' of Ascension from MAC for Gareth Pugh. 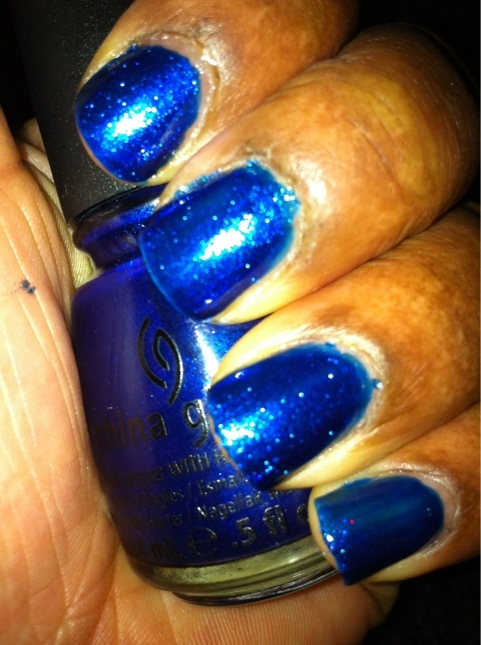 'Blue Year's Eve' by China Glaze, 2 coats. A more vibrant 'color hack' of Hyper from MAC for Gareth Pugh.